1.3 What are the claims for ALLSTIM? 1.12 Any unwanted ALLSTIM side effects? 1.14.1 Please feel free to comment or ask questions below! ALLSTIM by 3FU3L looks like a promising fat burner. However, can we base our judgment on a first glance? No, this is why we review supplements. Like it or not, most people will buy this fat burner supplement purely because it looks a bit mean, a bit serious and sightly dangerous. Dangerous you say? Yep. Bigger the risk, bigger the reward. And to hell with the danger or bordering legalities. Let’s face it, when looking for supplements we tend to look for something that is the next ‘legal steroid’ or ‘legal ephadrine’. This looks to fulfill that curiosity. Fat burners can help you burn more calories. Effective weight loss supplements will contain ingredients that raise core body temperature and energy levels. This means you can exercise more and burn more calories. Raising the body temperature forces your body to try and cool it down to maintain a normal operating temperature. This process burns more calories as it raises the basal metabolic rate. Increase energy – Hit the gym for longer and harder. Thermogenic – Increases body temperature which your body tries to cool, this burns more calories. Appetite control – Prevents snacking. However, they were born from their own tried and tested formulas that worked for them in different sports. 3FU3L say that they’re weren’t born to be a commercialized product, but just to produce the right products that work. They have a strong link to CrossFit and all of the stress on the body that it incurs. Hence why 3FU3L was born. What are the claims for ALLSTIM? A herb from India that seems to work well treating hepatitis B. Tests have been shown to reduce inflammation and can also protect the liver. There’s many safety concerns surrounding the use of. It is still used to treat dysentery even though it could result in swelling to the face and even death. This is a popular fat burner ingredient. That said there;s a real lack of evidence that Yohimbe can help you burn more calories and reduce fat mass. In fact there’s little evidence it can help with anything but it is actually quite dangerous. Black pepper has no benefit to weight loss or anything other than increasing the absorption of the other ingredients. Take two pills every day. This gives us a 30 day supply. More pills spread out over the course of the day would be more beneficial. This way our body has a constant supply of nutrients to digest and help benefit us. The two tablets per day amounts to 1750mg. $54.95 -This is quite high for the ingredients included. Only caffeine and grapefruit will have any significant benefit. These are the only two proven and safe ingredients available. There’s a big element of risk. Risk can be good if there’s a big potential reward. However, this offers very little possible reward for a significant health risk. Three ingredients are not going to help us lose weight, elevate mood or increase performance. There’s only grapefruit and caffeine that can improve these areas. We must also consider that all of these ingredients fall within a proprietary blend. As a result we have no idea how much of each individual ingredient is included. There’s lots that need to be done. ALLSTIM is far from perfect, or effective. With just two beneficial ingredients this fat burner from 3FU3L there’s plenty of other proven ingredients that are able to increase energy expenditure which should be included. Any unwanted ALLSTIM side effects? There is some real health concerns here. Yohimbe can cause seizures and death. Styphnolobium Japonicum can also cause death. Avoid any supplements that contain these two ingredients. All risk and little reward. This only contains two safe to use ingredients that are often found in natural fat burners. These two ingredients are effective for fat burning. Yet all of this uncertainty is then packaged up in a proprietary blend which means we have no idea how much of each ingredient is actually included. This is quite literally a high price to pay for so little known benefit from a supplement. 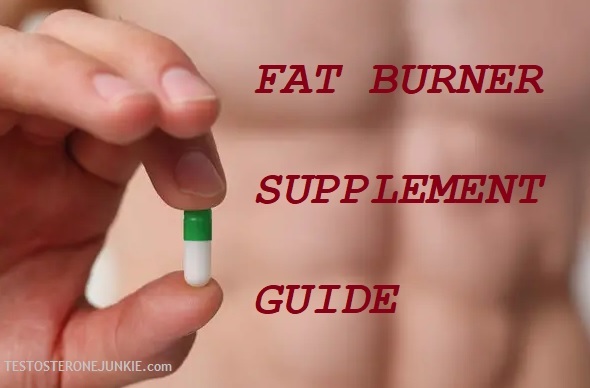 This supplement is both expensive while also lacking the high performance found with other fat burners on the market. I have seen ALLSTIM on eBay cheaper, is it legit? I would always avoid buying from eBay, as counterfeit products can be common. Usually so, but always try to buy direct. Ephedrine is not in this product but there’s a similar element of risk associated with it. Is ALLSTIM by 3FU3L fat burner safe and legal? ALLSTIM is not very safe. But it is legal. Can both males and females use ALLSTIM? Yes, but with the heightened risk in place due to a couple of the ingredients it is best avoided.